An accent wall emphasizes the color scheme in this retro bedroom. Accent walls are great for adding color and character to a room. You can define a living space or make a treasured piece of artwork or unique architectural feature stand out with this striking and unique design element. You can also utilize the color of your accent wall in elements of coinciding rooms, like in a rug, throw pillows, or window treatments to create a stylish color flow throughout your home. Read on to learn more about how you can use this fun and decorative accent. If you’ve fallen in love with a bold, flashy color, you run the risk of overpowering a room if you use it on every wall. However, by using a bold color on a single accent wall you are guaranteed to add a pop of fun color to a room without running the risk of overdoing it. 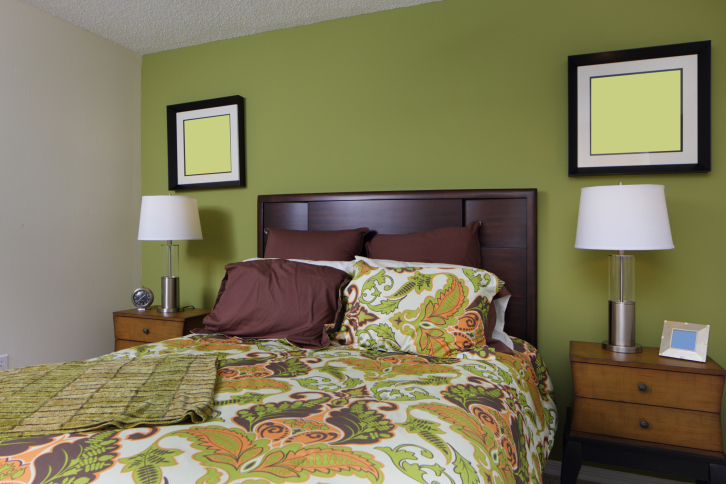 An accent wall is also a great way to bring out an already existing color scheme in a room. For example, suppose you already have a cobalt blue throw rug, cobalt blue lamp, and cobalt blue desk accessories. Painting one wall with cobalt blue helps to accentuate the already existing color scheme of your room. 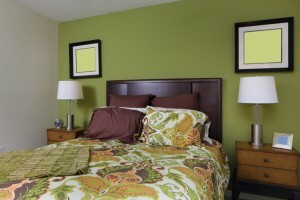 Another great way to utilize accent walls is to paint one wall a deeper shade of the existing color of the room. For example, if you have a room that is painted a pinkish white, try painting one wall a deeper shade of pink. This is a great way to break up the monotony of a room that is painted in a single color. It is also a great way to add vibrancy to a room without making the commitment of having a huge burst of color. Subtle accent walls are a great way to maintain class and elegance while also introducing something fresh and new.